You know what the best meal ever is? Dessert. But you know what the best meal ever after dessert is? Brunch. And do you know why? 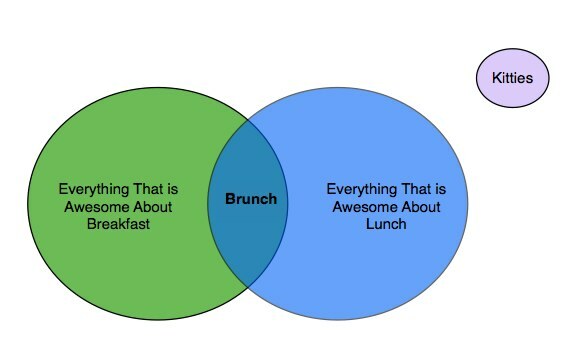 Consider the Venn diagram below. Study it closely. Learn its truths. Yesterday was a beautiful day. Clear skies, not warm but pleasant weather overall, got an awesome massive free lunch at Noodles&Co thanks to my friend Chase, and then I went home to my own personal box of sunshine, aka the remaining mangoes I got from Whole Foods. If you remember, they gave me a free box of them to see what I could come up with. The last post was mango ice cream and mango-ancho chili ice cream. 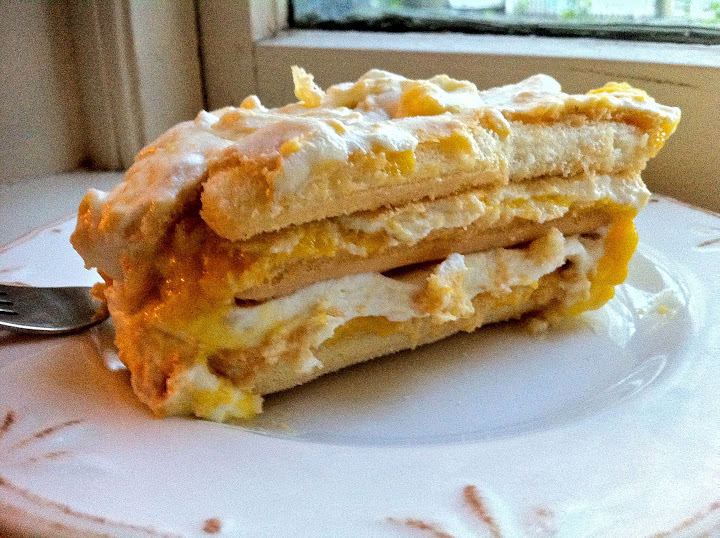 Today’s post is still desserty–I can’t help it, mangoes are just so sweet and soft and dessert-y. Today’s post is a mashup of mangoes and my lingering obsession with Italian food, specifically ricotta cheese, after eating at RPM Italian in Chicago last week. Today’s post is a variation of tiramisu. With mango. Mango. Tiramisu. I was in Chicago for a conference last week (hello, good food!) when I got a delightful email from someone at Whole Foods all about mangoes, asking me if I’d like a free case of mangoes to see how many uses I could come up with for them. Umm, YES. YES I WOULD LIKE. You should never turn down a mango. Kumquats, sure, but never a mango. Step Two: Make (very long) list of tasty foods to make. 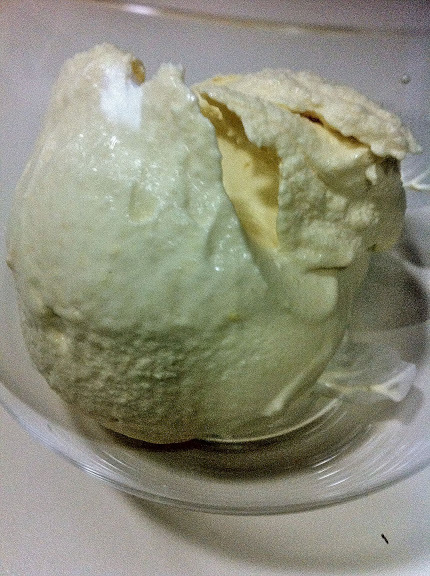 I got an ice cream maker for Christmas and have since gone a little ice-cream-making-mad. I had all the ingredients for that but none of the other items on my list and was too lazy to go to the store yesterday. It was really easy to make, too, which was a nice bonus. 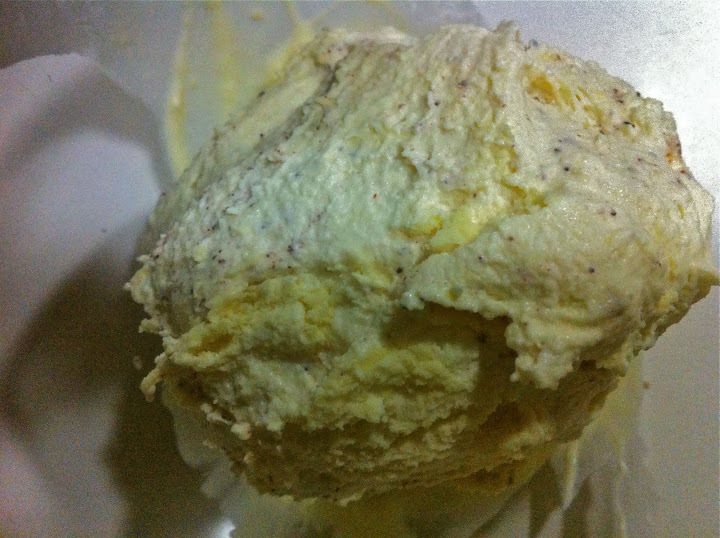 It also got the most beautiful texture of any ice cream I’ve made thus far, I mean just absolutely gorgeous texture. Pale yellow color, light and airy and silky. The flavor was a very light, sweet, fruity flavor, super refreshing. The kind of thing you really want on a hot day, y’know? To experiment a bit more, I tried a few different add-ins: coconut, chili powder, ancho chili powder. The pure mango ice cream was my favorite. The mango-coconut combination was Josh’s. The chili powder was ok, but the ancho chili powder was pretty good, giving the ice cream an interesting, unexpected savory flavor. Other mix-ins and toppings could include fresh mint or cilantro, strawberries, cashews, pecans, caramelized banana, candied bacon…really, anything. 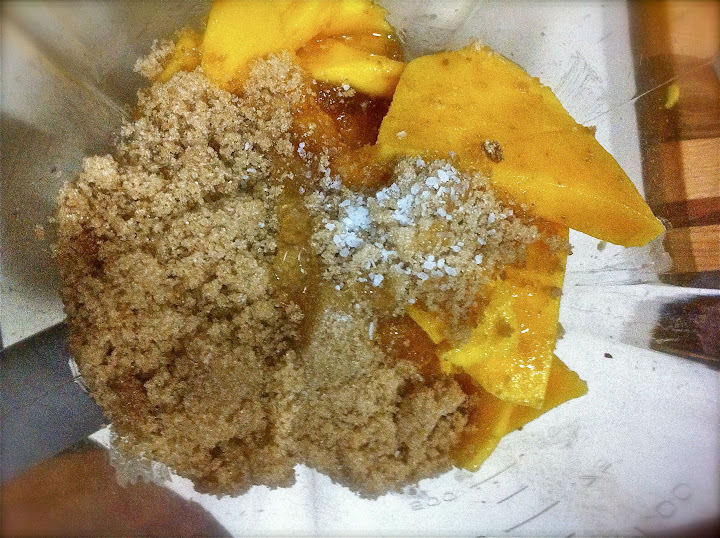 Put the mangoes, lemon juice, brown sugar, honey, and salt in a blender and blend until smooth. Add the heavy cream and mix thoroughly. Freeze according to the instructors for your ice cream maker. Near the end of the freezing time, add in any of the mix-ins you'd like. For the ancho chili mango ice cream, I'd slowly add in ancho chili powder a tsp at a time until you get a flavor that's pleasing to you. P.S. Put your leftover mango peels in a pot with 1 cup of water and 1 cup of sugar and boil…voilà! 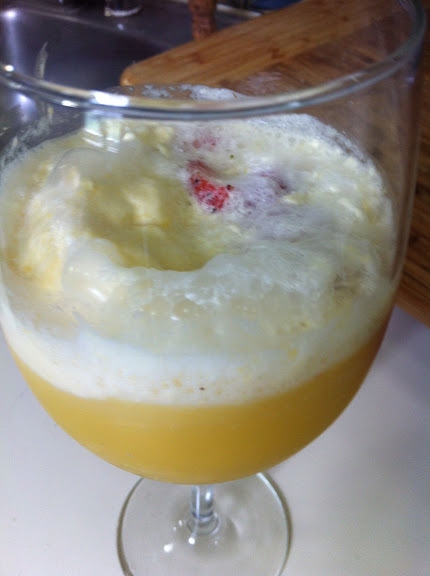 Mango simple syrup. Strain and bottle.